The Neutrik XCR Colored Ring is designed to help you organize your XLR connectors by color coordinating them. This particular ring is colored in orange and provides a flat label surface for X-series cable connectors. 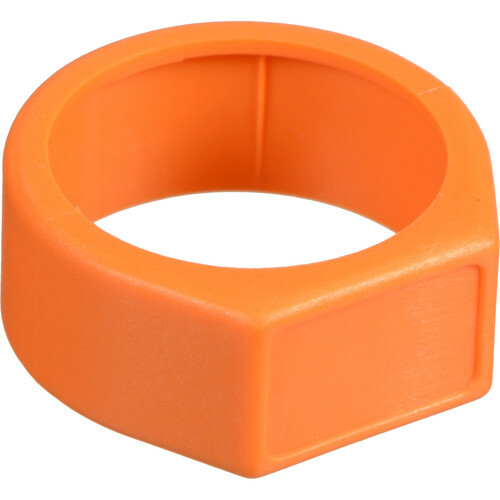 Box Dimensions (LxWxH) 3.0 x 2.0 x 1.0"
XCR Colored Ring (Orange Finish) is rated 3.0 out of 5 by 2. Rated 5 out of 5 by Benjamin from Best idea in the dark, or anywhere, this identifies which cable is which. Rated 1 out of 5 by Anonymous from Only one comes in the bag. Not worth paying for. Not worth anything.